Along with the release of the five-passenger Volkswagen Atlas Cross Sport SUV and Volkswagen Atlas Tanoak pickup truck concepts at the 2018 New York International Auto Show, Volkswagen also debuted a 2019 VW Arteon model equipped with the fan-favorite R-Line appearance package that will be offered on the new coupe when it is released in fall of 2018. Find information on what is included in the Volkswagen R-Line appearance package below. What is Included in the Volkswagen R-Line Appearance Package? The R-Line package will include interior and exterior design enhancements that complement the VW coupe’s sporty style including 19 and 20-inch alloy wheels, an R-Line exclusive front bumper, gloss black air intakes, a gloss black rear spoiler, contrasting interior stitching, steering wheel paddle shifters, stainless-steel sport pedal covers, a stainless-steel door sill cover, a black headliner, and R-Line badging and decor finishes inside and out. Take a look at the 2019 Volkswagen Arteon equipped with the R-Line appearance package below. What Other VW Models Are Available with the R-Line Appearance Package? Currently, the 2018 Volkswagen lineup includes only 3 models with available R-Line trims or appearance packages including the 2018 VW Tiguan, 2018 VW Atlas, and 2018 VW Passat. Though, we believe that Volkswagen has plans to extend the R-Line availability with new 2019 models. The 2019 Volkswagen Jetta is rumored to have an available VW R-Line appearance package when it arrives at Volkswagen dealerships in the second quarter of 2018. 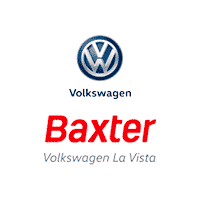 Keep following the Baxter Volkswagen La Vista blog for more Volkswagen brand news, model information, and local events in the La Vista and Omaha, Nebraska areas. We will be sure to keep you updated with new 2019 Volkswagen Arteon information and information on Volkswagen R-Line availability as it is released by Volkswagen.